Microsoft Dynamics NAV is an enterprise resource planning (ERP) software program designed for small to medium-sized businesses. Dynamics NAV, used mainly by production-based businesses, helps manage tasks commonly performed by marketing, sales, human resource, supply chain, and finance departments. Microsoft Dynamics NAV integrates with other Microsoft products, such as Azure and Office 365, and is commonly used by growing businesses. This platform has wide-ranging capabilities and can be used to improve accessibility and collaboration, as well as automate processes within a business. Microsoft Dynamics NAV consulting services assist clients with configuring and deploying this program. In addition to implementation, some of the providers in this category assist with additional training or support related to Microsoft Dynamics NAV, as well as other IT consulting services or implementation services such as Office 365 consulting. Microsoft Dynamics NAV Consulting reviews by real, verified users. Find unbiased ratings on user satisfaction, features, and price based on the most reviews available anywhere. G2 takes pride in showing unbiased ratings on user satisfaction. G2 does not allow for paid placement in any of our ratings. 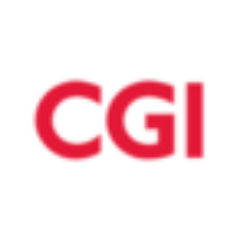 CGI is a leading IT and business process services provider focused on being a partner, employer and investment of choice. Sikich offers a formula of professional services uniquely crafted to address your business’s challenges and opportunities. Our comprehensive skillsets, obtained over decades of experience as entrepreneurs, business owners and industry innovators, allow us to provide insights and transformative services to help strengthen every dimension of your business. 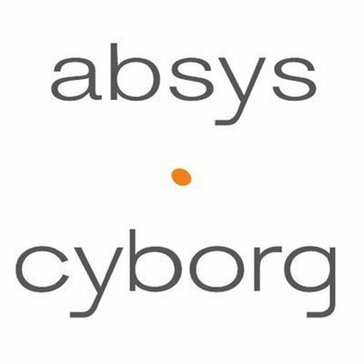 Absys Cyborg is specialized on business solutions deployments and a subsidiary of the Keyrus Group. A Microsoft Dynamics Gold ERP Partner specializing in Microsoft Dynamics NAV ERP solutions, ArcherPoint has built a business around adaptive innovation. Regardless of industry, companies look to ArcherPoint as a business solution provider and partner they can depend on to deliver results. Our team includes experts all over the world, not only in Dynamics NAV ERP solution design, development, 24/7 support, and upgrades, but also in accounting, manufacturing, retail, distribution, and other key areas of business. BroadPoint is an award-winning business and technology consulting firm dedicated to helping nonprofits and commercial companies solve complex business problems through innovative technology. Since 2001, we've delivered ERP, CRM, membership management, and business intelligence solutions, in the cloud or on-premise, powered by leading technology providers such as Microsoft, Serenic, and ASI. As one of the top Microsoft Gold-Certified Dynamics partners in the U.S., we have hundreds of clients across the U.S. that trust our experienced CPAs, MBAs, PMI-certified project managers, technology experts and service professionals. OUR SOLUTIONS: Accounting, Financials, and ERP Solutions: - Microsoft Dynamics 365 Business Central - Microsoft Dynamics GP - Microsoft Dynamics NAV - Serenic Navigator (Robust Fund Accounting Solution for Nonprofits) CRM, AMS, and Member Management Solutions: -Microsoft Dynamics 365, Sales and Marketing (CRM) -BroadPoint Engage Member Management (Powered by Microsoft CRM) Business Intelligence and Productivity Solutions: -Power BI -Solver BI360 Implementation Services, Cloud Hosting, and Managed Services Offerings: -Azure Cloud Services and Management -Client Advantage Support Program -Implementation and Migration Services Learn more at www.broadpoint.net. Castle Computer Services provides intelligent provision of high quality services and innovative solutions that deliver a high return on investment. Chetu is a US-based software development company that provides businesses worldwide with custom technology solutions. As an application development company with over 1,500 skilled software developers, Chetu combines technological expertise, specific domain experience, and passion for excellence to deliver enterprise-grade solutions. Chetu is a true and seamless backend technology partner, helping your business accelerate the development of desktop, mobile & web-based apps with on-demand developers that focus on moving your business forward. CIBER is an information technology consulting, services and outsourcing firm applying practical innovation through services and solutions that deliver tangible results for both commercial and government clients, it include application development and management, ERP implementation, change management, project management, systems integration, infrastructure management and end-user computing, as well as strategic business and technology consulting. Our consulting services team is renowned for its expertise and experience in: strategy design and execution; management consulting; value creation; executive compensation; and costing and profitability analytics. DiCentral's flexible EDI and supply chain solutions integrate with any industry and more than 100 ERP, WMS, accounting and eCommerce systems - even custom built back office systems. Take advantage of in-house services, including live technical support. We will rapidly deploy, maintain and scale your EDI to relieve your stress and perfectly fit the needs of your enterprise. eBECS offers in-depth industry experience and detailed technical knowledge of Microsoft Dynamics enterprise resource planning (ERP), customer relationship management (CRM) and business intelligence (BI) solutions. InterDyn BMI is a leading Gold Certified Microsoft Dynamics Partner dedicated to the implementation, training and support of the Microsoft Dynamics line of products. Faced with increased performance pressures, organizations need to manage their resources more effectively. LOCUS offers enterprise resource planning (ERP) services that help clients get the most from their ERP investments. We implement, integrate and manage popular ERP & CRM packages from Microsoft Dynamics. Our 24/7 Microsoft Dynamics support desk provides both technical and functional support on AX, NAV, GP, SL, CRM, RMS, POS & FRx worldwide. Naviona provides a services that includes everything from project management to development, full Dynamics NAV implementations, optimizations of business processes and ongoing support. Prodware Group creates, integrates and hosts IT solutions for businesses. RSM is a consulting firms that provide the core service lines of audit and assurance, accounting, risk advisory, tax, transaction support, corporate restructuring & insolvency and IFRS services. 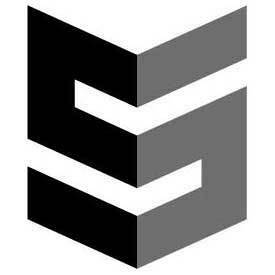 SL is a business and technology consulting firm that help organization organization to empowered by technology that's intuitive, easy-to-use, and designed to enhance performance withsocial collaboration tools, enhanced mobility, deep industry-specific functionality, and an intuitive user interface,delivering modern solutions that empower user to innovate and stay competitive. Technology Management Concepts (TMC) is a boutique professional services organization based in Southern California, specializing in ERP and CRM systems for companies of all sizes which include Microsoft Dynamics GP (formerly Great Plains), NAV, and CRM as well as Netsuite. The TM Group is a trusted advisor to hundreds of national and local clients helping them achieve efficiency, increase productivity and provide clarity to their business results with strategic business solutions. Founded in 1998, Tribridge is a technology services firm specializing in business applications and cloud solutions. TSI's business and higher education consulting services improve efficiency, growth, quality and performance. At UXC Eclipse, we’re thinking ‘out of the box’ to deliver business software that makes a difference and software that is relevant to your company. Velosio, one of the top business software providers in North America, deploys best-fit business applications that keep you ahead of the competition in today’s digital-first business environment. We balance visionary ideas with pragmatism, delivering an exceptional client experience that drives business value faster. Among the largest Microsoft partners, Velosio supports the entire Microsoft Dynamics portfolio, Office 365 family and Azure services. The solutions portfolio, inclusive of ERP, CRM, Productivity and Business Intelligence, extends to Sage and NetSuite. Velosio is the only Microsoft Cloud Distributor that specializes in Dynamics 365 and is a prominent Microsoft Master VAR. Why are agencies embracing the review economy? Hi there! Can I help you find the best Microsoft Dynamics NAV Consulting solutions?